Silk is my canvas. 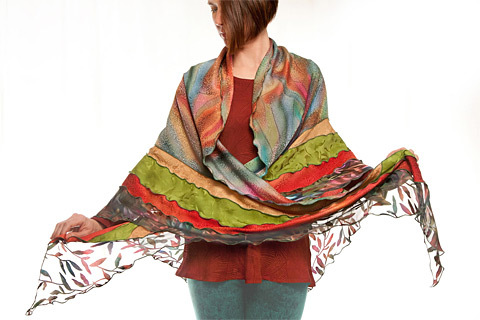 Utilizing a technique similar to water-color, I hand-dye and detail an array of unusual silks, exploring the interplay of color, texture and shape. Each one-of-a-kind garment and accessory is hand-cut and built to enhance and honor the relationship of this canvas and the feminine form.